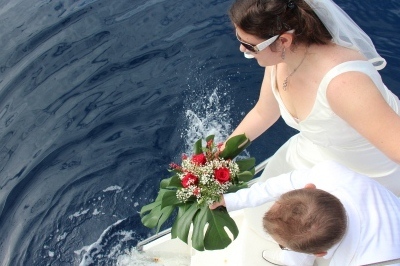 Tenerife offers the most wonderful wedding venues situated all over the island, by the sea, the beach or in the mountains with the best views to the ocean. 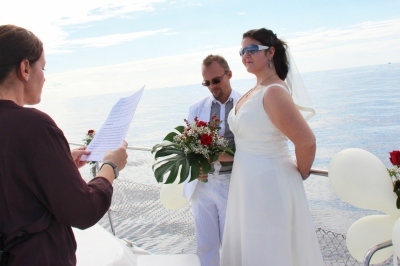 But what do you think about saying the magical words “Yes, I do” on the open seas? 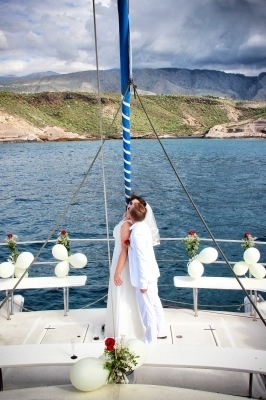 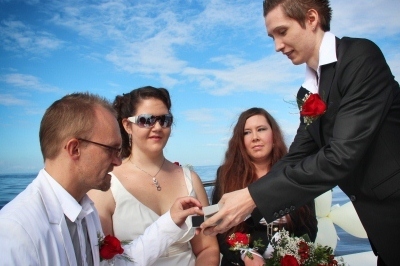 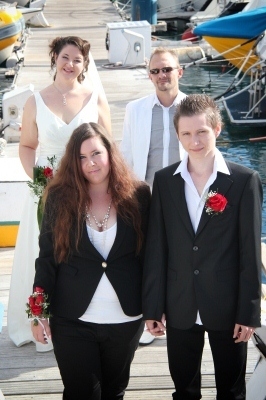 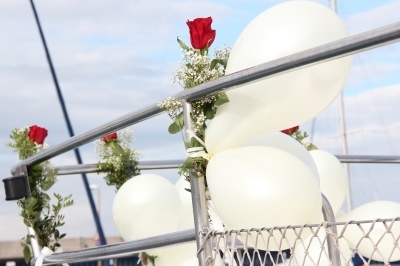 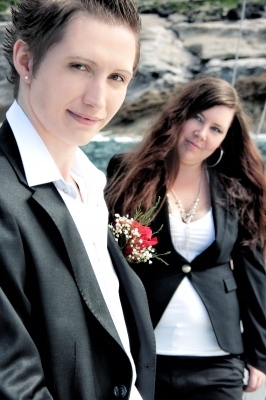 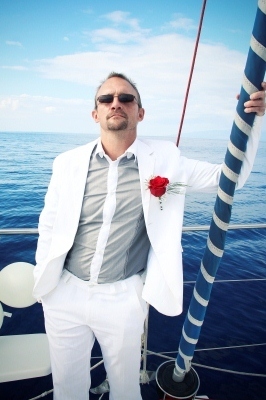 This lovely couple chose a catamaran as their wedding venue in Canary Islands. 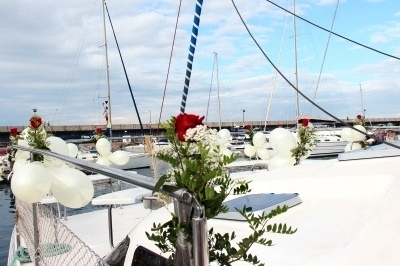 The lovely decorated catamaran for the wedding. 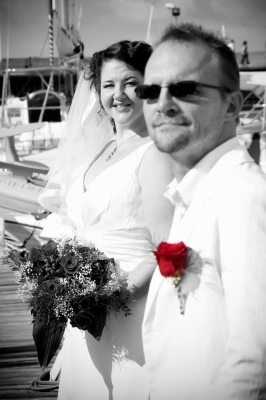 The bridal couple arrives at the harbor. 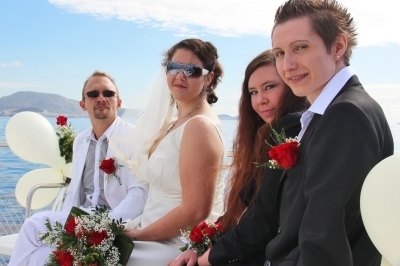 The bridal couple dreamed of a very special wedding ceremony. 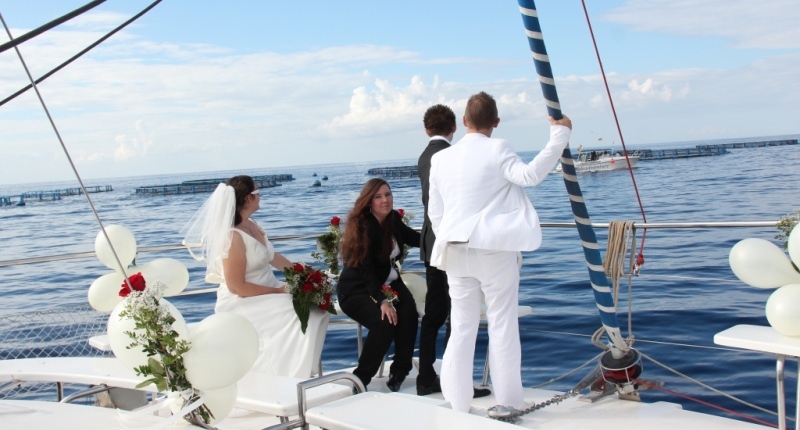 What could be more exciting than saying the magical words “Yes, I do” on the open seas with whales and dolphins as witnesses. 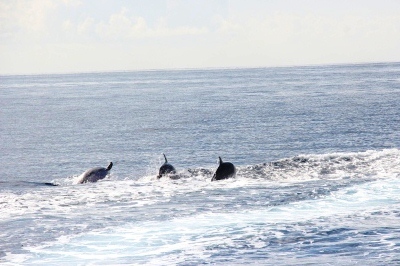 With a little luck, you can observe pilot wales and dolphins close to Tenerife’s coast. 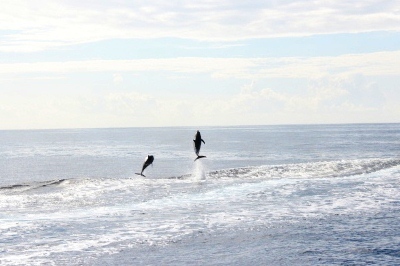 What a great coincidence observing dolphins on the wedding day! 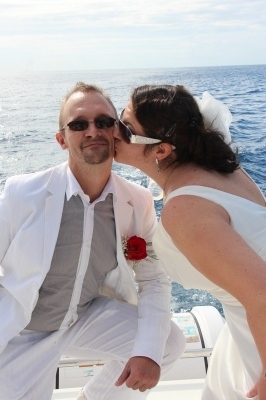 The bridal couple enjoys the great weather in Tenerife, even in the winter month December! 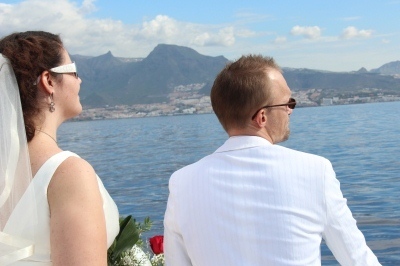 In front of Tenerife´s beautiful landscape, more wedding photos are taken, with Mount Teide as a backdrop, to never forget the stunning day. 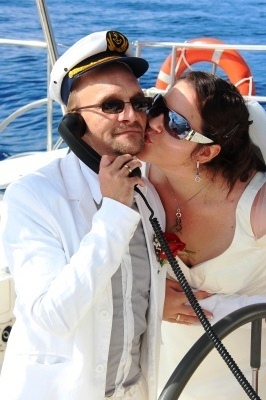 Nadine García Breuer, your wedding planner abroad, translates the speech of the Spanish registrar into German. 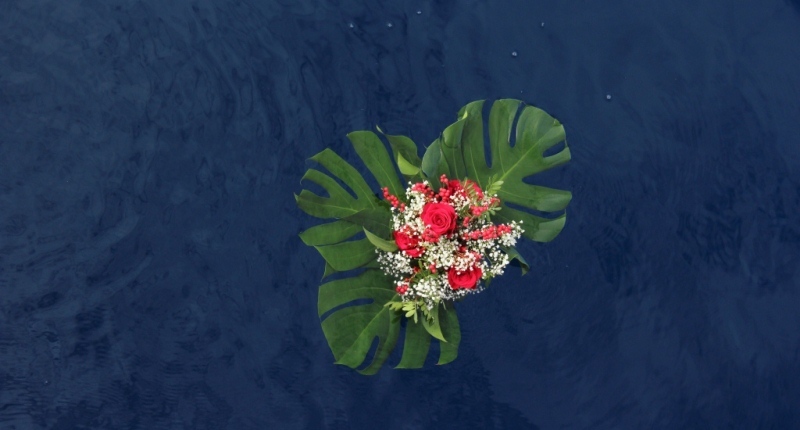 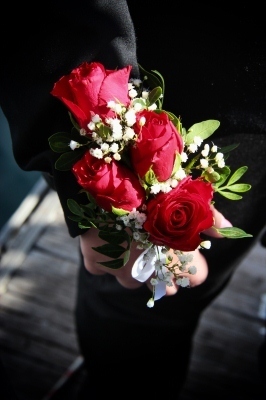 A wonderful tradition which fits perfectly on this occasion is the flower ritual. 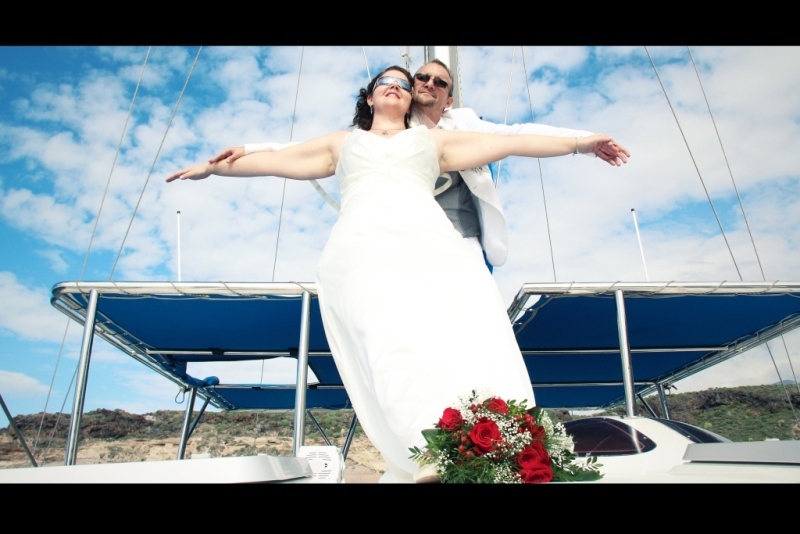 Beautiful moments – the bridal couple during their ceremony in the Canaries. 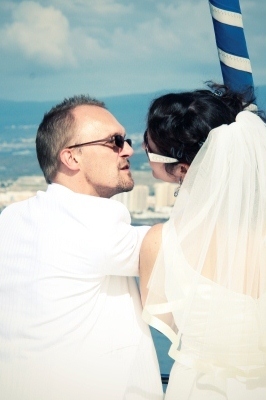 The long desired wedding kiss and the bridal couple clicking glasses with their witnesses to the marriage. 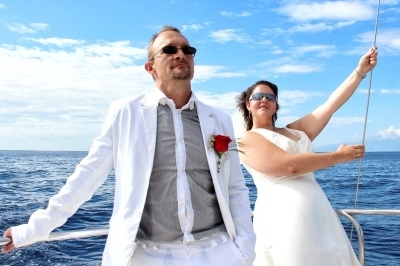 Funny photo shoot on the open seas. 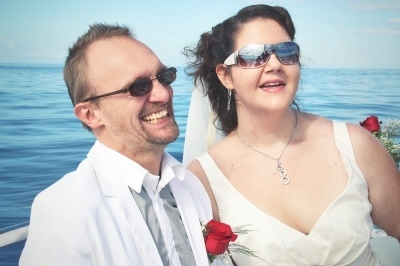 The couple is very happy that they got married in Spain. 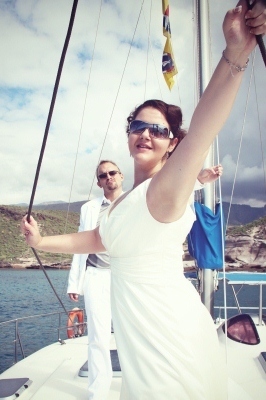 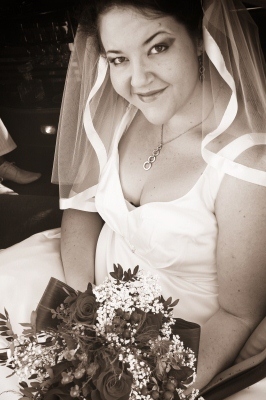 The bride feels like Kate Winslet in the movie “Titanic”. 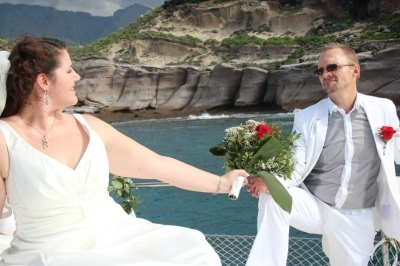 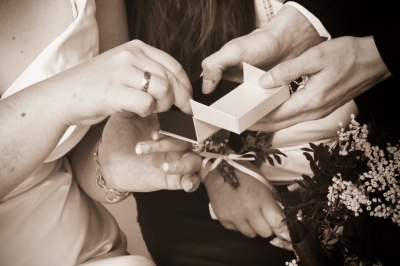 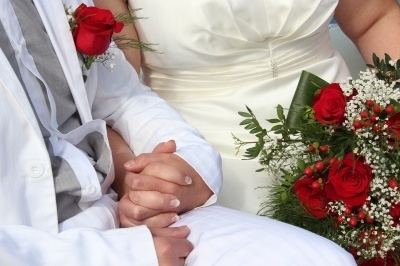 The Wedding Agency My perfect wedding wishes the bridal couple the best for their future and hopes that they will never forget their romantic wedding in Tenerife.